Whether you're planning a wedding smart enough for the “Knightsbridge of the North” or romantic enough for the Brontë sisters, we have the right Leeds wedding band for you! They'll entertain guests of all ages and keep your dancefloor packed all night. What style of music do our Leeds wedding bands play? Our wedding bands in Leeds and West Yorkshire are ideal entertainment in any venue, whether you’re looking for a raucous rock’n’roll band or an uplifting soul band to keep guests dancing till dawn. You can hire a band to play almost any style of mainstream music you want – from fifties rock’n’roll songs to mainstream hits by Beyonce to hits by Leeds natives Soft Cell, Chumbawumba and the Kaiser Chiefs! This section is dedicated to evening wedding party bands, but we can provide Leeds wedding music for all parts of your day. Why not walk down the aisle to the ethereal sounds of a harpist? Then take it up a notch for your wedding meal with some jazz musicians? Where do our Leeds wedding bands play? Whether you’re looking for Happy Mondays in Halifax, Paul Weller in Wakefield or Heaven 17 in Huddersfield, we'll help you find the perfect Leeds wedding entertainment! Our Leeds bands for hire are available to play throughout the area, including: Headingley, Wetherby, Skipton, Harrogate, Castleford, Dewsbury, Huddersfield, Bradford, Wakefield and Bately. 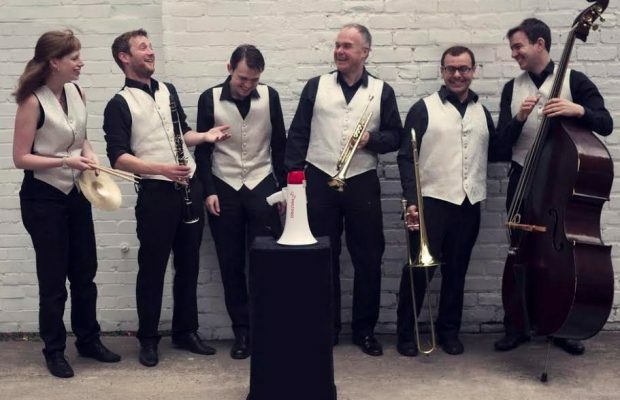 They've played in all the best-known venues in the area, including the Rudding Park Hotel, the Dean Court Hotel, The Mansion, The Royal York Hotel, Barley Hall, Monk Fryston Hall Hotel and the Harrogate International Centre. Our Leeds bands will also travel nationally and internationally.